“At the moment I have a duvet obsession. Actually, this isn’t a new thing, ever since moving in with hubs seven years ago I’ve had a love for girly bedsheets. When we first moved in together we weren’t particularly homely people, we were gifted a lot of furniture from out families and had hand me down bed sheets too. Eventually, I started falling in love with vintage floral bedsheets and pastels and hubs put up with it, although he felt like I was making the bedroom too feminine and started making grumbles. Our plan for 2014 is to redecorate the bedroom, get a new bed and up cycle some of the furniture we currently have. This means thinking about new bedding to match our new room decor. I think it’s fair to say that the bedding needs to move away from girly pinks and move forward to more masculine colours, but still pretty. 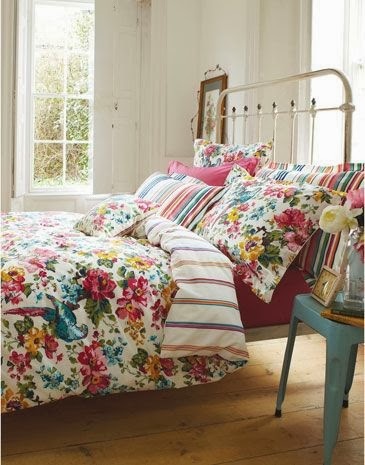 I came across Joules range of Duvet Covers and was very happy to have found somewhere that could offer a compromise. While the duvet covers are still pretty florals, the colours are bold and more manly – not to mention that Hubs likes birds. 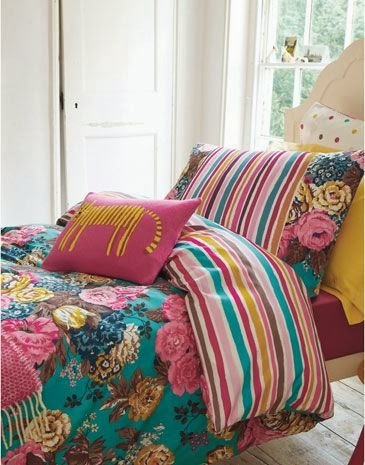 I also like the way that there are a lot of colours in each print which allows you to be able to pick out different contrast colours for bed sheets or extra pillows. I also really like the contrasting pattern on the underside – which effectively make these all reversible! 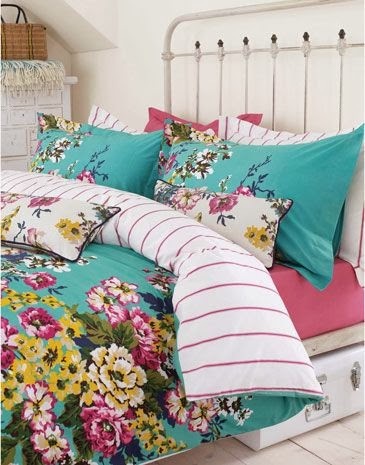 Do you have a passion for duvet covers?